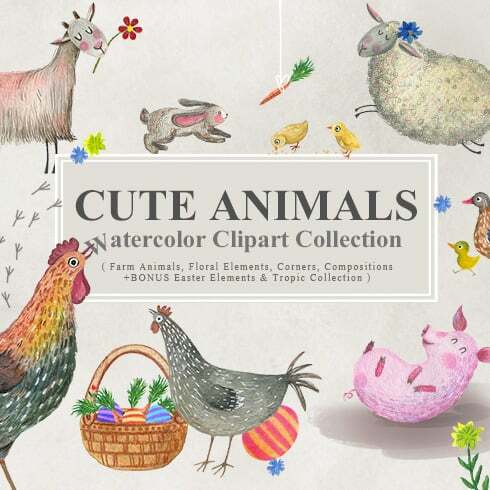 This clipart includes 65 clipart elements in PNG format. You can see all object at the preview. All images are hand-drawn and hand-painted using watercolor paints and high quality watercolor paper. All files are PNG format with transparent background. All files are separated in the individual file. Use this clipart in your new artworks! You can use Photoshop for opening these files. If you’re a graphic artist working on several tasks at the same time, you, like no other folks, comprehend the need for the whole pack of design items available at hands. Searching for them separately, you may spend a lot more time and money . To obtain all of the essential elements in a single pack, we highly recommend taking a closer look at graphic bundle deals. A bundle can be described as a assortment of components required for graphic design, valued for a large amount of money, yet sold at a bargain price for a very limited time. Tips on how to save a whole lot more bucks on MasterBundles bundles? Are you looking for a 5% additional price cut on any deal from MasterBundles? What you need to do is simply share the web page with a package on social media (Facebook). When completed, the price reduction will be automatically added to your shopping cart. How can you benefit from using bundle deals? For a single design project, you’ll need a lot of elements – a handful of photos, a font, some icons, and so on. In case you’d want to shop for every one of them separately it will cost you lots of money! So, that is why seasoned web designers look for graphic packages to purchase. What kinds of graphic bundles are there? The assortments of components accumulated into a graphics package deal are generally categorized based on their type or purpose. There might be packages with mockups, wedding invitation templates and infographics, etc. Besides that, you will also manage to find graphic bundles especially for Christmas, St. Valentine’s Day, Christmas or St. Valentine’s Day. Other than graphic design deals, you’ll find a limitless variety of other design packages on MasterBundles.com. The deals of stock photos, patterns, logo templates, icons, fonts and textures are readily available . They give endless possibilities for the design of different web projects. On top of that, you’ll find the entire bundles of WordPress themes, courses and ebooks, cv templates, slides, and other components. 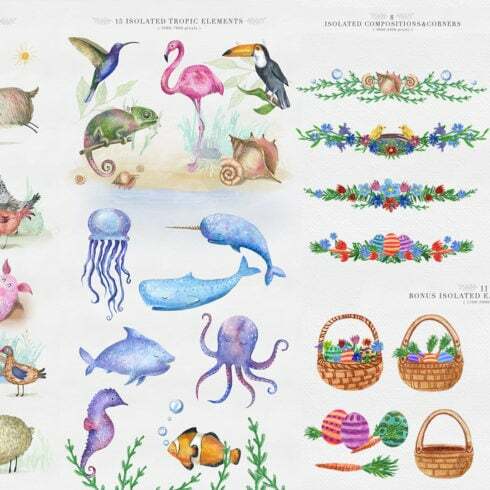 The watercolor bundle is found to be the most beautiful trend in creative desgin. Hand crafted by painters on the a piece of paper, the pictures get scanned and added in a package deal as templates for design projects. 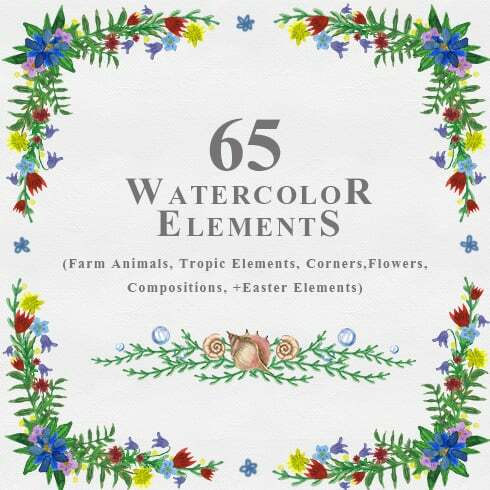 Watercolor elements are just ideal for quotes, blogs, posters and wedding invitations. Whether you feel like you’ve lost tons of time when researching various tools and elements for your own design jobs, it is a high time to explore MasterBundles.com. This is a marketplace offering the most widely used tools (watercolors, graphics, presentations, fonts, logos, icons etc.) for graphic designers, online marketers, and developers at a reasonable price for a very limited time. What’s more, you can use coupon codes and promotional codes for particular design deals. In order to not miss important information on the future promotions, we recommend following our blog and subscribing to the email newsletter.